In recent years it has felt as if getting into Oxbridge has got even tougher. 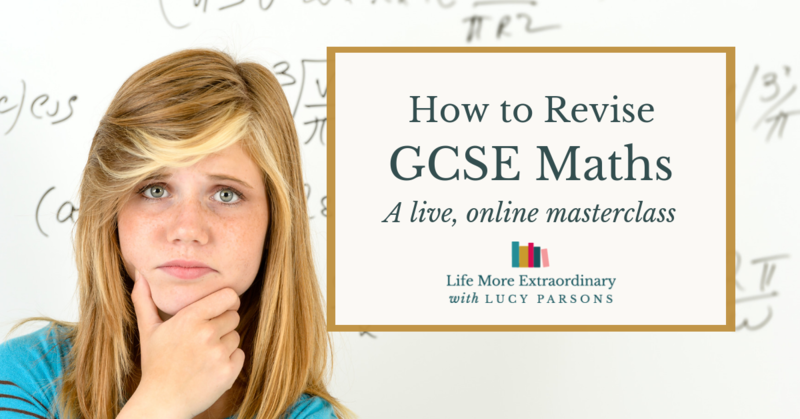 Don't get me wrong, it's always been hard with the demand for exceptionally good grades at both GCSE and A Level as well as a raft of high-calibre supra-curricular and extra-curricular experiences. However, in recent years I've seen students with exceptional grades and impeccable experience being rejected. 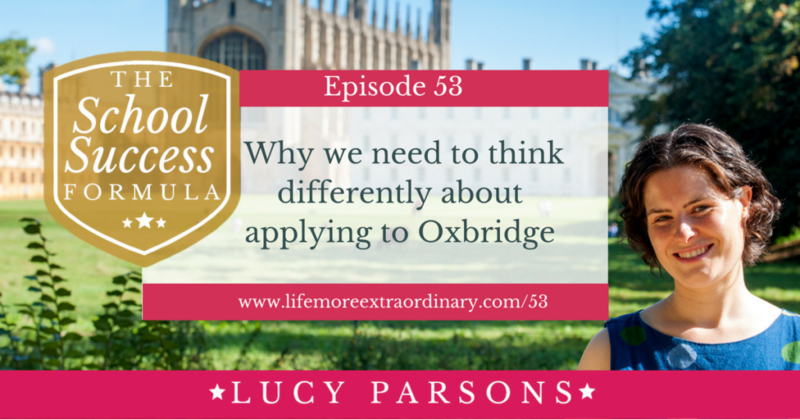 In this blog post/ podcast episode, I want to explain what's behind these rejections and why I think we need to start thinking differently about Oxbridge applications. Why is it getting harder to get into Oxbridge? 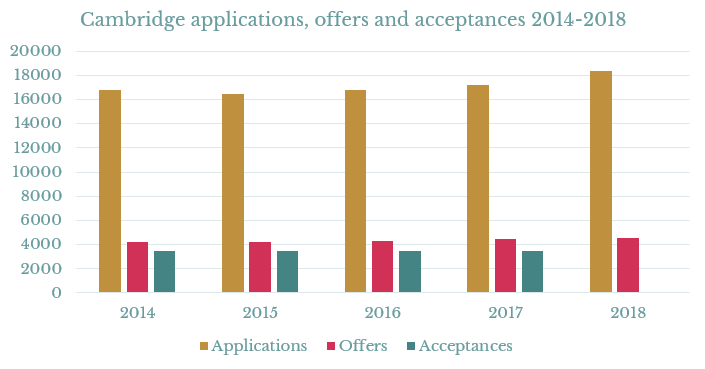 As you can see in the table below, Cambridge applications reached an all-time high of 18,375 in 2018. And, here's a graph showing the same data. 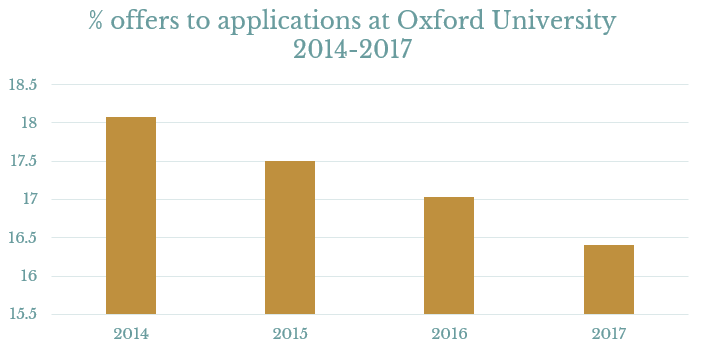 Similarly, Oxford applications also peaked in 2017, at 19,938 (this is the most recent year for which data has been made available). Here's a graph showing the same data. You can also see from the tables and graphs that overall offers and acceptances haven't increased that dramatically over this time. For Cambridge, offers ranged from 4,220 t0 4554 during the last five years and acceptances ranged from 3448 to 3497 – a variation of just 49. For Oxford, offers ranges from 3,565 to 3,771 and acceptances ranged from 3,161 to 3,270 – which is a greater variance, but in no way keeping pace with the increase in applications. 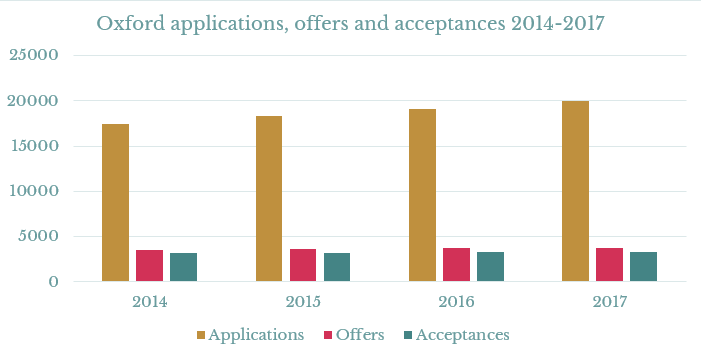 The graphs show that the percentage of offers to applications at both Cambridge and Oxford have decreased over recent years. For Cambridge, this has gone down from 20.99% in 2015 to 20.34% in 2017. For Oxford, it has gone down from 18.08% in 2014 to 16.40% in 2017. What these figures show is an increase in demand for places at Oxford and Cambridge, whilst the supply of places has barely increased. This is undoubtedly leading to many talented students, who would be good enough to both survive and thrive at these universities, being rejected. Alongside this increasing demand for a limited number of places, the grades of applicants have also been improving. For example, at Cambridge, around 40% of applicants for science degrees who get A*A*A* accept a place at the university (i.e. they are given an offer and then get the grades to accept it). Students with A*A*A only had an acceptance rate of 8.5% in 2016 and 7.2% in 2017. With grades lower than this, the acceptance rate drops to below 1%. For the Arts and Social Sciences at Cambridge, the grades are slightly more forgiving. In 2017, there was an acceptance rate of 18.9% for students with three A*s, 16.2% for students with A*A*A and 10.9% for students with A*AA. In 2016, these numbers were 17.2% for students with A*A*A*, 16.9% for students with A*A*A and 10.9% for students with A*AA. 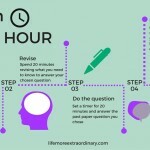 While three A grades is Oxford's minimum standard offer for candidates taking A-levels, many courses – particularly in the sciences – require at least one A* grade. More than half of applicants and almost 90% of admitted students achieve A*AA or better at A-level. More than 40% of admitted students achieve three A* grades or better at A-Level. The other thing we have to consider is where all the applicants are coming from. Oxford's admissions report clearly shows that between 2013 and 2017 the proportion of UK applicants admitted decreased from 82.6% to 77.9%. At the same time, the percentage of EU students admitted went up from 5.6% in 2013 to 8.3% in 2017 and the proportion of successful applicants from outside the EU went up from 11.7% to 13.8%. Cambridge's statistics show that in 2013 11.9% of successful applicants came from outside the UK. The percentage remained fairly steady between 2104 and 2016 going from 12.1% to 12.3%, but increased in 2017 to 14.2%. So, overall, the competition for places from overseas at both Oxford and Cambridge is increasing, but that Cambridge is slightly more favourable to UK applicants than Oxford. As you can see from the numbers alone, it is getting harder to get into Oxford and Cambridge. With increasing numbers of applicants overall, as well as more competition from overseas and only 40% of candidates with perfect A level grades (A*A*A* – and that doesn't mention those who have even more A Levels at the highest grades) it is tougher than ever to get into either of the UK's most esteemed universities. 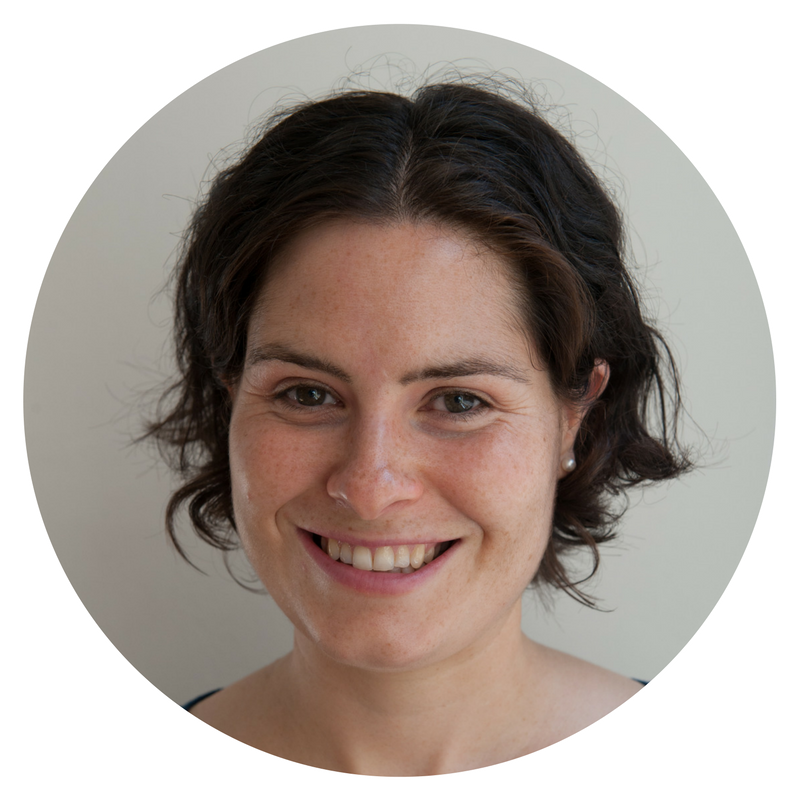 What does this mean for prospective candidates? 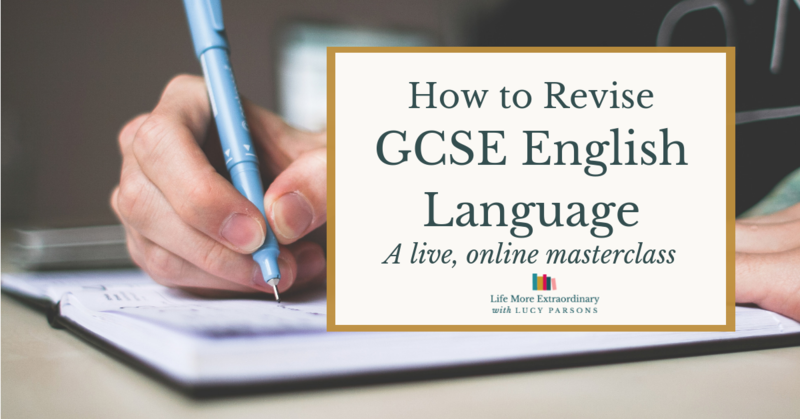 You might have read through the above figures and felt really gloomy about your chances of fulfilling your dreams of a place at Oxford or Cambridge. However, I think we need to change our mindset about applying to these universities. 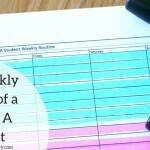 And, I think with this change in mindset it might lead to more success. What do I mean by a change in mindset? Back when I applied to Cambridge in the 1990s it was very clearly my goal that I would get a place there. My application was thought of in terms of success or failure. This has also been the case for many students who I've seen through my teaching career and in my work as an academic coach. However, as I've seen talented students with exceptional grades who have done all the right things get rejected, and really struggled with their self-esteem and self-identity as a result, I've come to the view that we need to change how we look at this process. Even the highest achieving students need to start thinking of an Oxbridge application as ‘having a go' and ‘seeing what will happen'. It certainly isn't the be-all and end-all of a young person's life. As I've told parents in recent weeks, getting a place at Oxbridge shouldn't be seen as the icing on the cake. It should be seen as the cherry on the icing on the cake – it's a massive privilege and bonus. 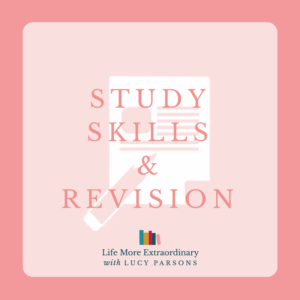 I am doing my A levels at the moment and had my first exam today, however for the first time ever in an exam I couldn't relax once the exam got started and was anxious and panicky for the whole 2.5 hours, which made it extremely difficult to focus on the exam. Normally I am obviously nervous before an exam but I relax when I get in; today I just felt so overwhelmed and couldn't focus. I have got a conditional offer to study at Oxford, which could be one of the reasons why I am so nervous. Oxford wouldn't have picked you if they didn't believe in you. See the offer as a vote of confidence and that might help you to relax. I've said elsewhere on my blog, that you're a success even to be in a position to apply. If you've got grades, or predictions, in the ballpark that Oxford and Cambridge are looking for you're an incredibly talented student. 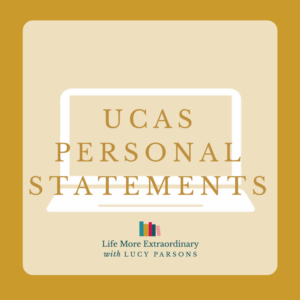 It really doesn't help anybody to lay all this pressure on students to get a place, in such a competitive environment, and send them into such a state of stress that they can no longer feel the joy and flow of studying that has got them to the position where they can consider applying. You may think it's counter-intuitive for me to say this, but there has never been a better time to apply to Oxbridge for a certain group of students. These are students who attend comprehensive schools, are getting the necessary grades and have absolutely nothing to lose from their application. In the current climate, Oxford and Cambridge are bending over backwards to find ways to admit students from more diverse and less well-off backgrounds. If this is your background, I encourage you to throw your hat into the ring and give it a go. Afterall, what's the worst that can happen? You end up going to a university that's probably just as good like Imperial, Durham or Bristol. And, where's the shame in that? 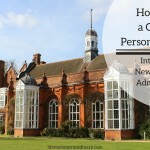 Click here to read my article about what it really takes to get into Oxbridge. What I'd like you to take away from this article is that by changing your attitude when you apply to Oxbridge you can actually free yourself up to succeed. 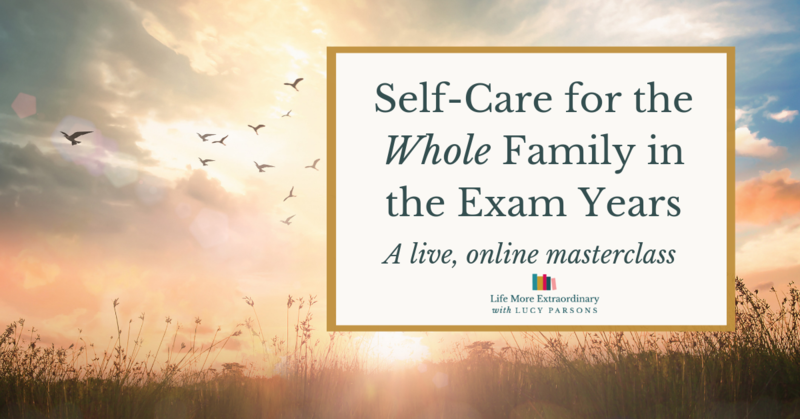 This is a stark contrast to the oppressive feeling of stress that many students felt in the past, with the weight of expectation of their school and their family on their shoulders. As it's statistically less likely than ever that you'll get in, just have a go, have a great experience, have fun with it and see what happens. I'm pretty sure that if you free yourself up in this way you stand a much better chance of success. 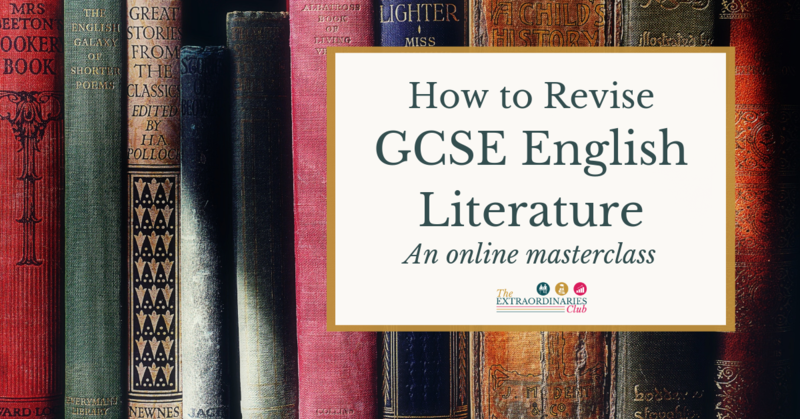 Would you like my help with your Oxbridge application? 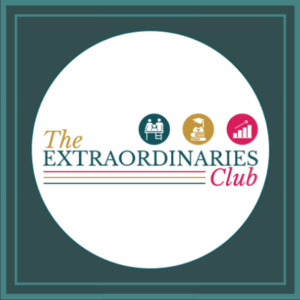 If you'd like to find out more check out my Top Ten Mastermind. 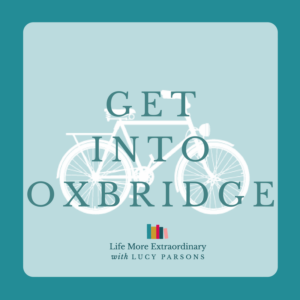 You can read more articles about getting into Oxbridge here. The statistics for this post were taken from Oxford's admissions statistics page and Cambridge's admissions statistics page.